This product is a very loved product among the blogging/youtuber world, being always on the hunt for good skincare products I thought I would give it a go. Initially I was a bit put off by the price tag & confused by the frenchness (I still can't pronounce the name properly) but thats probably because I'm a cheapskate & inept at other languages - although I can tell you the contents of my pencil case in German but thats a story for another time. With this product a little goes a heck of a long way, I use a tiny blob for the whole of my face & it leaves my entire face feeling cool and hydrated which makes me feel like its working. The fact that it lasts for such a long time makes me feel better about spending money on it. This product costs £9.75 for 40ml from Boots I don't know what the prices are like in other places or online, this is just where I got mine from. 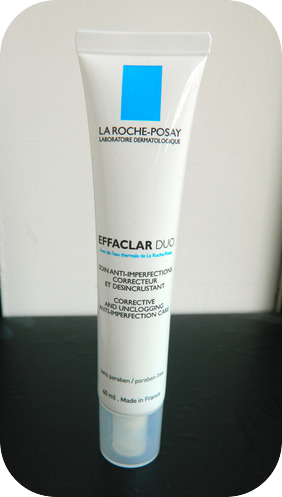 I didn't really know too much about the La Roche-Posay brand itself before buying this product, apparently its a dermatologists brand of choice recommended by 25,000 dermatologists worldwide. That must mean its doing something right. 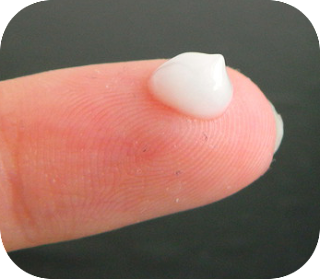 This product states that with its use Pores are purified, and imperfections appear reduced. Skin looks smoother and clearer. It appears to regain a long-lasting balance to help recover the qualities of more healthy-looking skin. I would definitely agree with those statements, my skin looks so much clearer since I've been using this product. For best results apply daily, in the morning and/or evening to the entire face. I normally just use it in the morning because I'm so forgetful in the evening, but even once a day has made such a huge difference to my skin so twice a day must be extra amazing. I would 100% recommend this product to anybody with problematic skin, it has done wonders to mine & is clearly a well loved product by many others. I just got a little sample & £2 off voucher for this in the post, I've tried some of their other stuff and in general La Roche Posay are so good! Quite simple ingredients as well which I like :) I think I'll be picking this up soon! I've been wanting to try this for ages as it sounds amazing!